With their name meaning ‘caretaker of all plants and wild animals,’ the Ogiek act as guardians Kenya’s Mau Forest, yet due to enduring feuds with other tribes and the Kenyan government, this role is under threat. It seems like an unlikely fit for an indigenous hunter-gatherer community to be seen as detrimental to their surroundings, but according to Dia Takacsova, that’s how the Ogiek are perceived by the Kenyan government. 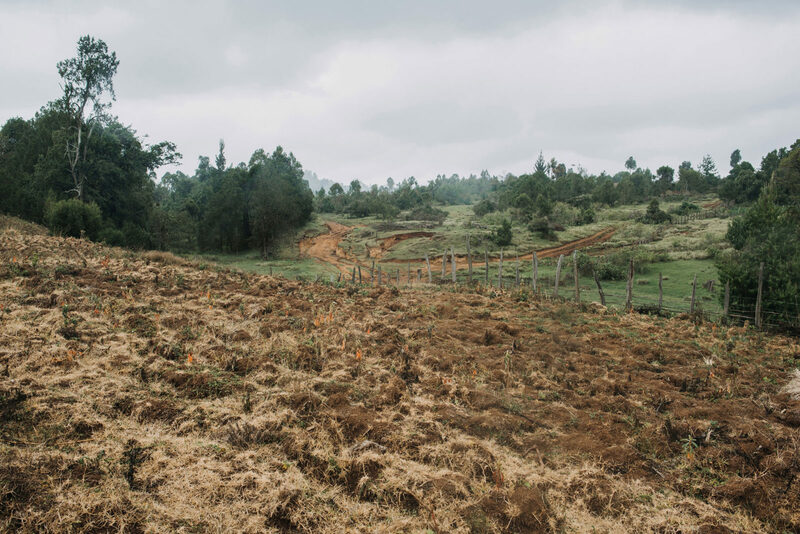 The Brussels-based photographer traveled to the Mau Forest in December, 2018 as part of a project organized by Minority Rights Group International. During her time there she produced an intimate photo series documenting the unique traditions of the Ogiek, and their symbiotic relationship with the natural world. “The tribe has been collecting fruits, hunting wild animals, and practicing beekeeping in the trees for centuries,” says Takacsova. “But the Kenyan government insists that the community is a threat to the Mau,” she continues, explaining that even after a ruling by the African Court of Human and People’s Rights stating that the Ogiek community had been violated and deserved compensation, the Kenyan government has done little to fulfill the court’s verdict, apart from establishing a task force to study the court’s judgement. The first public hearing for the task force took place in February 2019, but the Ogiek tribe still feel sceptical about their future. “As much as we are optimistic about the task force, we are also aware that the government of Kenya has never been a good implementer of such recommendations” explains Ogiek activist Leonard Mindore, who states that the findings of many other task forces and commissions are now gathering dust on government office shelves. “It is therefore important to closely monitor the next steps” says Takacsova. It’s easy to understand the tribe’s wariness towards the Kenyan government, especially considering their involvement in the destruction of the Ogiek’s precious homeland, which has decreased by over 100,000 hectares in the past 15 years. The reasons? “Encroachment for agriculture, tea plantations, charcoal, logging, illegal, and poorly planned resettling of other tribes, all of which have been associated with the Kenyan government, especially [the former president] Daniel arap Moi,” says Takacsova, who imparts that the results of such exploitation were very visible during her visit to the forest. The area of the Mau has decreased by over 100,000 hectares just in the past 15 years. With the changing landscape, lifestyle is transforming, too. The community is now also growing crops and farming. Ogiek beekeeper Boniface Oti Gechucho. The fight for recognition of both land and political power has been long ongoing. The original Mau Forest - a unique ecosystem essential for the whole region and for about 25 million Kenyans and Tanzanians. Honey harvesting from a beehive. The Ogiek have been practicing beekeeping in the trees for centuries. According to the community’s elders, “there are now less trees - and less bees”. A portrait of Cherop Kalegu. Young people speak English and often study or work in the towns. “The Ogiek have a deep connection to this place and the community,” says activist Leonard Mindore. Such progress means that many young people leave the Mau Forest to study or work in nearby towns—though “they keep returning to the community, as there is a strong sense of belonging here”—and that it isn’t uncommon to notice some lurking smart phones around the tribe’s residence. Ironically, technology’s presence in the Mau Forest has a lot more to do with preserving the Ogiek’s traditions than the spread of consumerism. “Ogiek activist Leonard Mindore emphasized that they are using the technology that is useful for them,” Takacsova explains, stating that this is especially relevant for advocacy purposes, as the tribe’s fight for their right to remain in their ancestral homeland is greatly aided by exposure on social media. Cellphones, electronic money and permanent homes became part of the everyday life of community members - but the heritage and cultural beliefs inseparable from the forest remain. Ogiek elders wearing traditional hunting clothing made of hyrax skin. Dia Takacsova is a Slovak-Hungarian photographer based in Brussels. Her work explores identity, physical, and emotional connection to place, and humanity’s relationship with nature. To see more of her photography visit her website or follow her on Instagram. To find out more about the plight of the Ogiek Tribe, visit their website, or check out their crowdfunding page on Go Fund Me.